As the Leg 7 crew prepare to start their challenge to New York and beyond, we caught up with Charlotte Willis, who has until this point been a patient Garminion supporter, following her team and waiting until her big adventure to start. 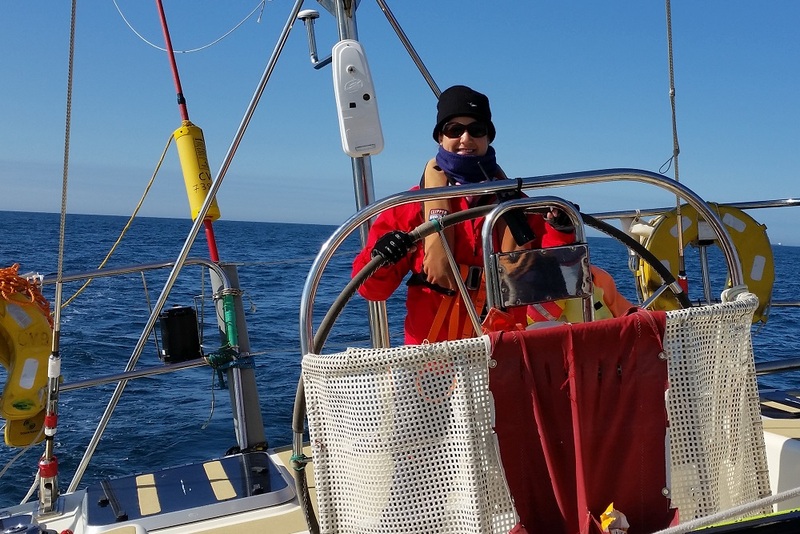 A proud Londoner and all round action woman, find out what led this novice sailor to take on the Clipper Race, and how it got her so hooked. 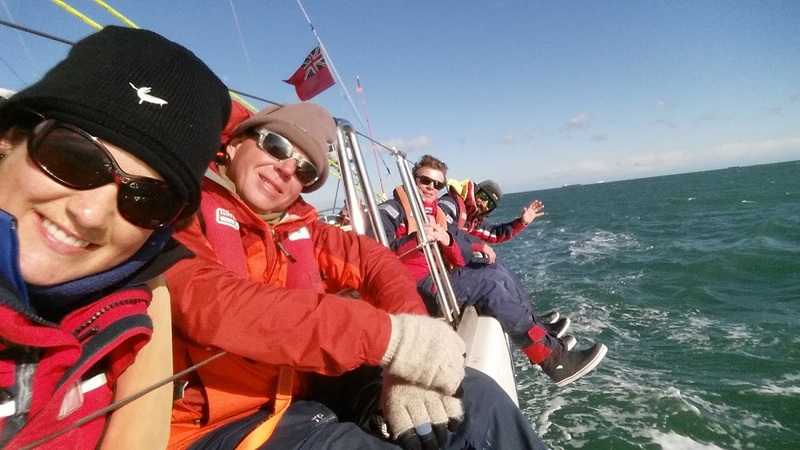 How did you find out about the Clipper Race and what was it made you sign up? I've walked past the Clipper Race posters in Bank tube station in London for years on my daily commute to work and it always caught my eye and looked like something I'd like to know more about. 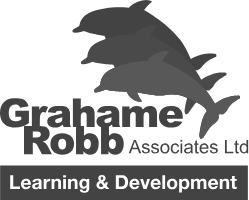 Finally at the end of 2014, I was looking for a new challenge and a new adventure so I took a closer look at the website and applied there and then. One of the main things for me was that I'd never done any proper sailing before and I wanted to learn a new skill so the Clipper Race was attractive for many reasons. I loved it: not only learning a whole new nautical language and discovering muscles I didn't even know I had, but doing it all with such a brilliant bunch of new people was so much fun. Of course the Clipper Race is about sailing around the world, but the key thing is also the people you meet along the way - all different ages and backgrounds - and the relationships you form; many of them will be friends for life. The ups and downs of training (as well as the drinks and the constant laughter along the way) are a real bonding experience. You’re doing Legs 7 & 8, so why did you decide on those? I am a Londoner born and bred and so even though it hadn't yet been announced that London would be the Start and Finish port for this year's race, I knew I wanted sail in or out of the UK. Due to other commitments, it wasn't feasible to do Leg 1 so I signed up for Leg 8. And then it was announced that the finish port would be London and I am so unbelievably excited to be able to sail into my home town at the end! Sailing into the UK in any port for the final Race Finish will be an incredible experience anyway but the fact that it's London makes it even more special for me. And then I started my training, and met other Clipper crew who were doing multiple legs or the whole thing, and it's very infectious! I'd worked out that Leg 8 only meant 24 days at sea and that was less time than I'd actually spent training so I knew I wanted to do another Leg and I knew that that leg had to be Leg 7 - partly because I wanted the continuity of carrying on into Leg 8 but mainly because I want to go through the Panama Canal. Have you ever done anything like this before? If so, tell us about other challenges you’ve completed. Well I like a challenge! I ran the London Marathon and did the London Triathlon years ago, and I like to push myself to try new things. I like to travel too (as well as count the countries I've been to - up to 48 so far!) so learning to sail part-way round the world seemed like a good thing to do next! I've had a bit of a complicated medical history in the past, including snapping all the ligaments in my left knee and having to be surgically rebuilt and learn to walk again three years ago, so even though it's not a conscious thing to prove I am now fit and healthy again, there's probably something in there that drives me to do these things too. What has it been like to follow the race for the last eight months, waiting for you time to join the boat? There have been both downsides and upsides to having to wait so many months to join my team at the beginning of Leg 7: I did all my Clipper training over the summer of 2015 so I felt ready to get going when Race Start came around at the end of August. And once I'd been allocated to Garmin, we spent a lot of time getting to know each other as a team and becoming great friends too. So it was agonising watching Garmin sail away at Race Start and knowing that it would be (at that time when I was only doing Leg 8) over nine months until I actually saw the boat again. Thank goodness for my other fellow Garmin leggers - we became a bit of a support group for each other and spoke pretty much daily! On the plus side though, it's meant that I've seen the side that our friends and family are on too and all the excitement and worry they go through in following their loved ones on the boat. And I've become very involved in the "Garminions" (the nickname for our crew and followers) group and it's been a wonderful experience of getting to know lots of parents, wives/husbands, siblings, kids and friends of my fellow crew as we all cheer on Garmin together. As a team, we have such incredible support from back home (which resulted in us winning the Stormhoek Social Spirit Award early on in the Race) and I've had the benefit of seeing it first hand whilst I wait. I will definitely be taking that with me when I get on board and I'm sure it will be of great comfort when I'm cold and wet somewhere in the middle on an ocean on a night watch! What are you most looking forward to about the race? What do you think you will find the most challenging? What do your family and friends think of you taking part in the race? I think a lot of my family and friends just raised their eyebrows when I said I was doing this and thought to themselves: of course she is! Another madcap escapade she's decided to do! I know my family are very proud and I've had some lovely messages and cards from family friends who have heard what I'm doing and want to wish me well. I'm also raising money for the Alzheimer's Society too (www.justgiving.com/clippercharlotte) and even though I haven't publicised it that much, people have been very generous. My family and friends have been nothing but supportive too and lots of them have got just as sucked into tracking Garmin on the Race Viewer as I have! I will be thinking of them and their unwavering support when I'm on the boat and sailing home as fast as I can to see them. We are now hiring for the 2017-18 and 2019-20 race editions. Click here to find out more and book a crew interview.